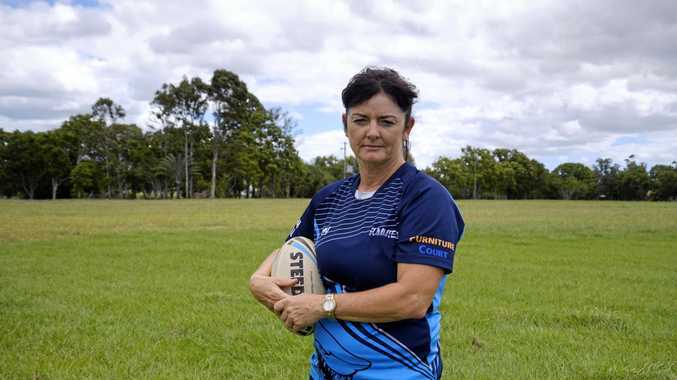 FOR 30 years, Terri Gilbert has played and coached in the Bundaberg Touch Football Association but now the thought of walking on to the field makes her sick to her stomach. The veteran has played in the men's masters competition for two decades and isn't afraid of a hard game of touch, but the ongoing sledging and personal attacks she endures is not what she signed up for and has pushed her to breaking point. "I've got nothing against people having a bit of a joke with each other, and you can do that with other teams, but when it's personally hurtful is the difference. That's where the line needs to be drawn," Mrs Gilbert said. "I am a loud player, but I'm playing the game in my own space and I can respect a man that wants to go toe-to-toe in the spirit of the game on the field, but when they pick on you and resort to sledging and belittling you for being a woman, and respect the men that are out on the field but not me, well why is that? "I've been cracked in the head and had my nose broken on the touch field and played the rest of the game with an indented fracture, so I'm not a sook, but copping personal attacks is different. "They've said to me, 'You're the s---est player that ever played for Queensland and how you played for Australia I'll never know'." The tipping point for Mrs Gilbert took place two weeks ago when the sledging turned to the junior girls' team she coaches. When they say, 'You're with the big boys now, go back to playing in your women's comp with your little 14-year-olds' is when it becomes a personal attack," she said. "We're pioneer women trying to make things different for everyone. I'm trying to be a role model for little girls and I don't even want those girls watching those men speaking as if that's the way we're supposed to be treated because we don't let those guys bully us on the field. "I actually felt sick walking out to play touch against them, and it's really sad because I've played out there for 30 years and I've walked out there since I was 20 years old." "Mrs Gilbert has been told by friends the sledging was about putting her off her game, but when she was forced to leave the field she knew it was time to put a stop to the attacks. "It's not just me either; I know the same men have targeted female referees, and even other male players have commented at how inappropriate the comments are," she said. "Ten years ago when I made the first complaint, someone said to me, 'it's just sledging', but times have changed and people don't put up with this any more. "You just want to go out and have a nice game and try your best, but I was more hurt when someone said to me, 'they do it to you every week, why are you so upset?' and it's like, well, because they do it to me every week. "One woman walked up to me while I was crying in the bathroom and said 'you know they've been doing it for years', and that's the issue here, everyone knows and nobody's doing anything." 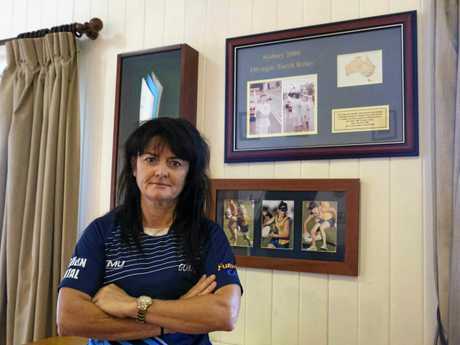 Mrs Gilbert lodged a complaint with the Bundaberg Touch Association two weeks ago about the specific players and was told her statement was "wishy-washy" and probably wouldn't stand up at the judiciary. After the NewsMail contacted the Association, Mrs Gilbert was informed that she would have to name every individual and hand them a statement with her allegations to give them a chance to respond. Bundaberg Touch Association president Dave Field said they had received a complaint but would not respond to the breaches in the code of conduct. "No comment can be made about the allegations while due diligence is being undertaken," Mr Field said. The TFA code of conduct states all players must "ensure your decisions and actions contribute to a harassment free environment", and "do not tolerate harmful or abusive behaviours".